In the process of organizing any kind of activity (whether it is a job or leisure time), time is the most important element of planning. Time is a constant resource, you can’t change it. But effective control of this resource in order to get higher results is possible. Nowadays, time-management is that, a successful person can’t organize tasks without. 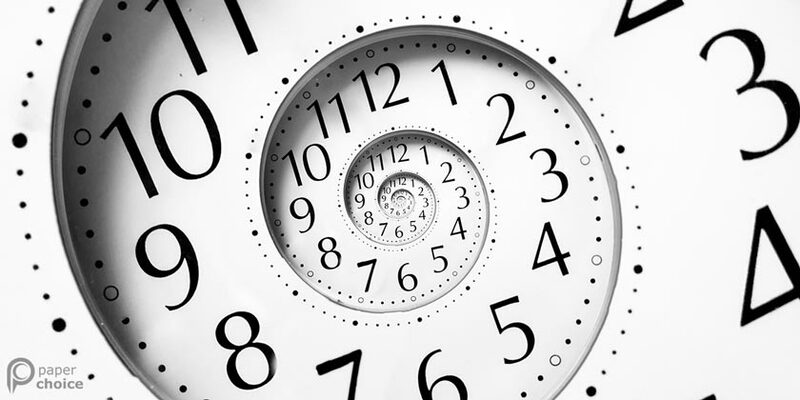 There are numerous methods and principles of time-management, developed on the base of economical laws. They are successfully being used by big corporations. But this doesn’t mean you can’t learn how to control your time effectively on your own. First thing that is to be done by every leader: to analyze how they spend their time. In the table below, there are main reasons of time-losses and recommendations about how to save one’s time. Hofstadter’s law says: "It always takes longer than you expect, even when you take into account Hofstadter's Law." Despite its humorous nature, this law is quite precise about saying how difficult is to plan something. Really, analysis of time you spend doing this or that action will not make the process of planning simpler, but it will certainly turn it into a more comfortable one. Start as soon as you can. Delaying is one of the most widespread time traps. “I’ve got lots of time, I’ll handle with that thing later” is the classical phrase we often hear from people around… and more often from ourselves. Delaying the job on the project you spend time doing secondary things, not performing the project realization. This leads to difficulties as a result. American scientists of education concluded that the difference between a good student and the average one is that, how fast they start doing tasks. Routine is a part of the job. And you need to get used to it. Boring, mechanical and routine aspects are in every task, in every profession. If you plan it well, you’ll be able to free some time in order to spend it more fully. To do this, set up a precise timeline of your working day to answer emails or to complete paper job, for instance. Important tasks are the priority. Even if you go in advance according to a plan, do not stop until your job is completed. Do not distract your attention onto small tasks that are not connected to the main task. It is easy to spend the gained handicap, but you can’t be sure you’ll earn it once more. Divide big tasks. Important and big tasks need to be divided into a bunch of small ones. When creating small tasks that are easier to be completed, you’ll reach the final task faster. Fragmentary approach is not something new, it is successfully used in many big companies. This fat is a good recommendation for a method. Don’t put unnecessary efforts. There is a proverb in Russia: «The best is an enemy of the good”. Improvement requires additional efforts, though doesn’t guarantee bringing the expected result. There is to be a place for perfectionism, but you need to know how to notice tasks where it is required. Set up working time. Always estimate time you’ve spent. Yes, your first marks will be far from perfect, but you’ll learn how to precisely determine the amount of time this or that job might take you to complete it. This will improve your effectiveness and teach you how to distribute your time. Plan your activities. There are many instruments that will allow you to plan them effectively. Schedules, calendars, diaries, etc. Lots of internet-services offer a set of special office instruments that will be helpful in time-management. Imagine what you want to achieve in a long-term, global perspective. “Big picture of your activity has always to be kept in your mind. Plan your activities taking perspectives and goals into account. Do you want to be a successful leader? Then get acquainted with all people you work together with. Develop communications. Have interests in other fields (sales techniques, marketing, etc.) communicate with specialists from there. Treat training and coaching in the company seriously, try to get maximum of knowledge from them. Devote time to self-education, read, study innovations in the field you work with. This will make your planning, your knowledge and activity more effective. Rated 4.5 | From 150 users.